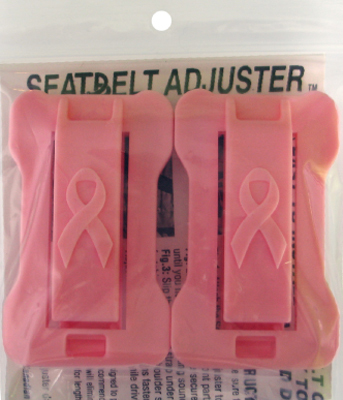 This 2 pack of Pink Seatbelt Adjusters comes in a Ziploc bag and contains a leaflet of instructions. 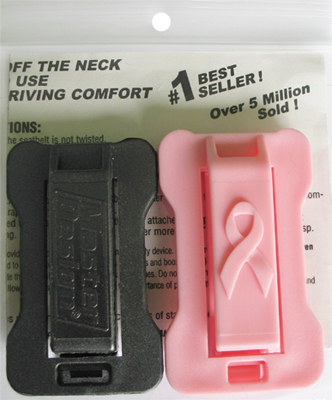 This 2 pack (1 Pink and 1 Black) of Seatbelt Adjusters comes in a Ziploc bag and contains a leaflet of instructions. 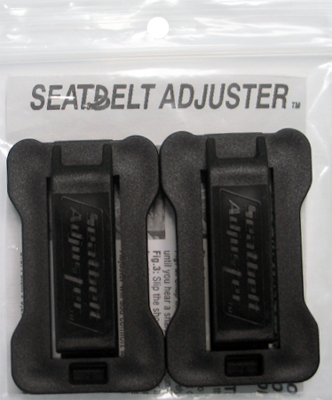 This 2 pack of Black Seatbelt Adjusters comes in a Ziploc bag and contains a leaflet of instructions.